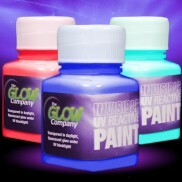 Get creative with glow in the dark paint, UV spray paint, UV face & body paint & glow in the dark spray paint! 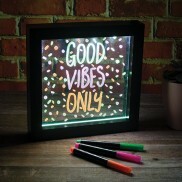 Let your imagination wander and get creative with colourful designs that are only revealed under UV blacklight with invisible UV paint! 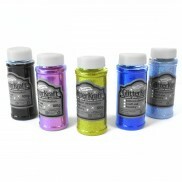 Get crafty and mix up your very own glow in the dark paints, resins and more with vibrant glow in the dark pigment! 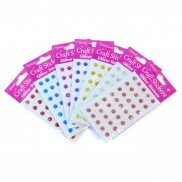 Add a touch of glitz to your crafting designs and customise your favourite things with colourful glitter stickers! 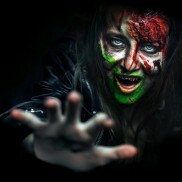 Create incredible horror effects this Halloween with a glow in the dark liquid latex complete with glow face paint, latex and fake blood! 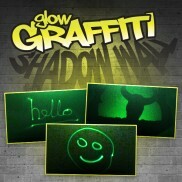 Highlight your art and create stunning glow effects with Glow in the Dark Paint. 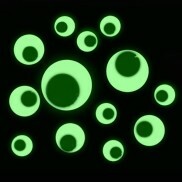 Acrylic Glow Paint appears off white in the light and glows brightly in fabulous colour in the dark to reveal stunning patterns and funky artwork. 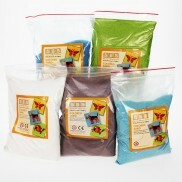 Finish off your art and craft projects with a touch of sparkle with colourful fine glitter. 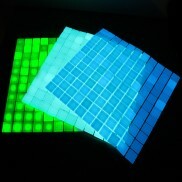 Give your kitchen or bathroom the wow factor with striking mosaics made with glow in the dark tiles! 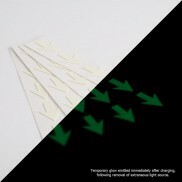 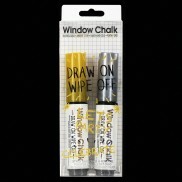 Mark out important and emergency information with a pack of 20 superbright glow in the dark arrow adhesives. 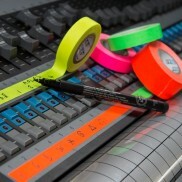 Mark out important buttons on consoles and communicate information with highly fluorescent UV reactive marking tape. 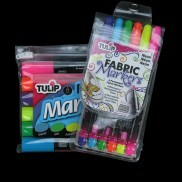 Create striking designs that glow in the dark and transform your favourite clothing and accessories with Tulip 3D Glow Fabric Paint! 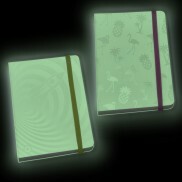 Put pen to paper in these cute hardback note books that have a fantastic secret.... they glow in the dark! 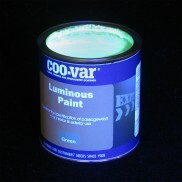 Luminous Glow Paint glows brightly in the dark after exposure to light and is ideal for a range of commercial and domestic uses. 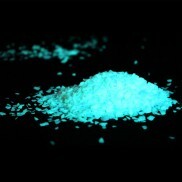 Customise your favourite t-shirts, bags, shoes and more with neon fabric paint for striking effects that fluoresce under UV blacklight! 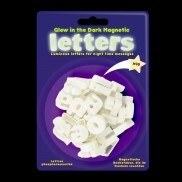 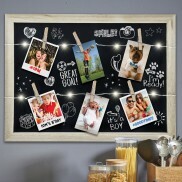 Spell out words, create messages and see them glow in the dark with magnetic glow letters! 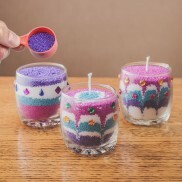 Layer up colourful wax granules to create your very own wax candles! 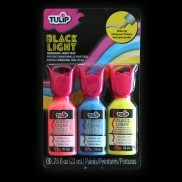 Brighten up even the most boring of t-shirts and give your outfits an outstanding lift with Tulip Glow in the Dark Fabric Paint. 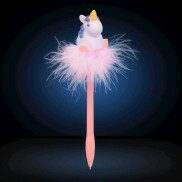 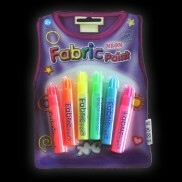 Let your imagination run wild for fabulous creations and costumes that’ll glow in the dark! 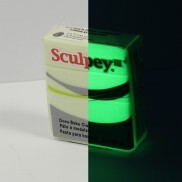 Incredibly strong, highly visible in daytime, and super vivid fluorescence under UV light. 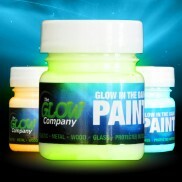 This clear protective coating is essential for protecting your Luminous Glow Paint against wear. 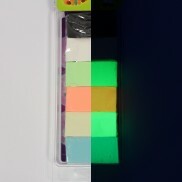 Give your favourite clothes and accessories a funky makeover with super bright designs that fluoresce under UV blacklight! 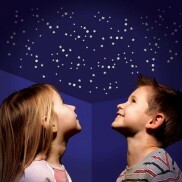 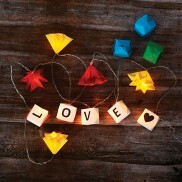 Shape and form your own string light set with lanterns and stars with this origami string light kit. 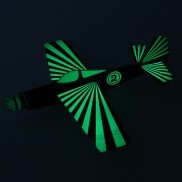 Some toys simply stand the test of time, and this fun glider will captivate even more so with it's glow in the dark design! 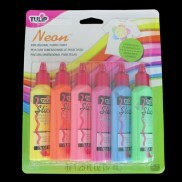 Make a statement beyond just words with this four pack of brightly coloured neon gel pens! 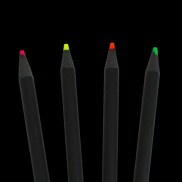 Take your creativity to the next level with incredible neon coloured pencils in pink, orange, yellow and green. 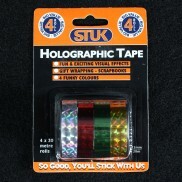 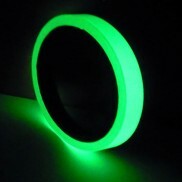 When fully charged this glow tape provides positive luminescence for up to 10 hours. 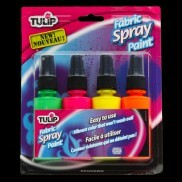 Customise your clothes and accessories or even soft furnishings around your home with a Tulip Neon Fabric Paint Set. 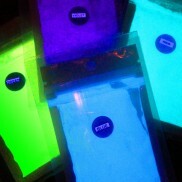 A set of six hot neon fabric paints that are UV reactive, this pack is the ideal way to get your projects glowing! 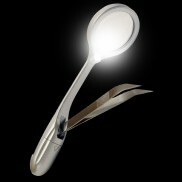 Soon to be the most used tool in your tool kit, the lighted tweezers and magnifier allows you to illuminate and handle small pieces with ease. 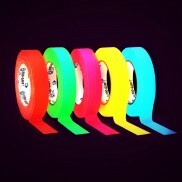 Let your imagination run wild and customise your look with outrageous UV reactive colour with Neon Fabric Markers! 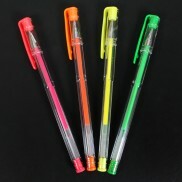 Fantastic fabric pens available in ultra fine 1mm tip or 3mm tip. 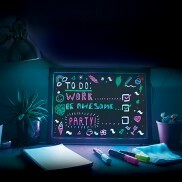 Decorations can make a party, and party decorations don't come any better than when they glow in the dark! 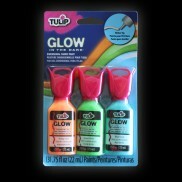 Use this pack of three Glow in the Dark Party Spray paints to decorate your party, especially good for Halloween! 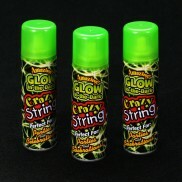 The perfect party accessory, you'll wonder how you ever partied without Glow in the Dark Crazy String! 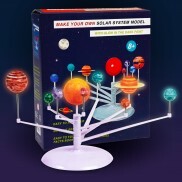 It's uses are endless and every one of them fun! 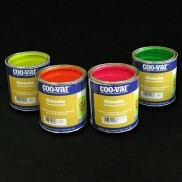 Personalise your look and update your clothes and accessories with bright and funky colour using Neon Fabric Spray Paint. 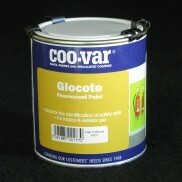 Glocote Fluorescent Paint is available in four vibrant colours, each of which are highly visible in daylight and under light at night.